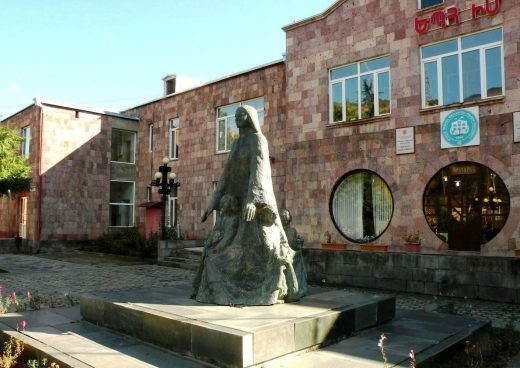 The only monument by Ara Shiraz, devoted to the Danish missionary, who saved 110,000 Armenian orphans from the Armenian Genocide, has been in the yard of YSU Ijevan branch(formerly known as kindergarten named after Maria Jacobsen) for over two decades. On April 23 of 2016, on the occasion of the 55th anniversary of Maria Jacobsen’s death and the 100th anniversary of the Armenian Genocide, a solemn ceremony dedicated to Maria Jacobsen was organized at YSU Ijevan branch, initiated by the Consulate of Denmark in Armenia, the Armenian Genocide Museum, Tavush Diocese of the Armenian Apostolic Church, Danish-Armenian Benevolent Mission, YSU Ijevan Branch. This year, on November 6, marks the 136th Anniversary of Maria Jacobsen (1882-1960). 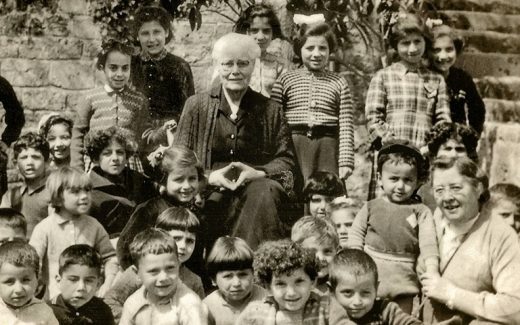 Born in 1882, Maria Jacobsen learned when young of the Ottoman “Hamidian” massacres of Armenians in the 1890s, and after studying nursing she travelled to Turkey with the Women’s Missionary Workers (Kvindelige Missions Arbejdere, KMA). 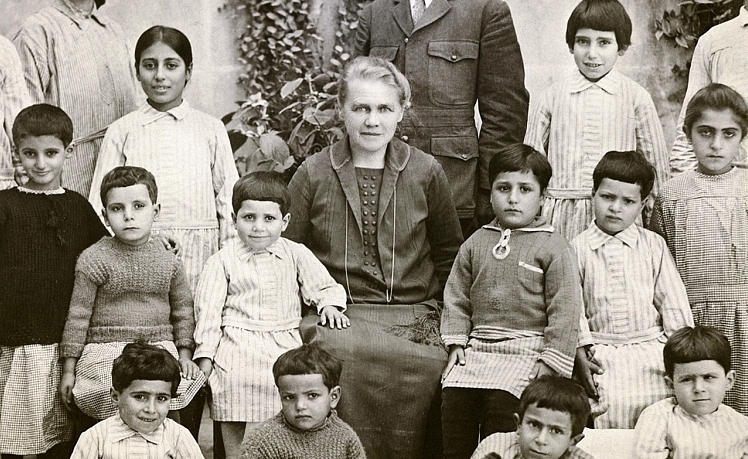 She was the first nurse to reach Kharberd, arriving on her 24th birthday, and already referred to by the doctors as “the angel of salvation.” If her work was made hard by high altitudes and long journeys, it was nothing compared to what came in 1915. The Genocide caused a sea of children to wash up at her door. When the United States entered the war and American personnel were forced to leave, Jacobsen took sole charge of the hospital that cared for thousands, and at one point was feeding 4,500 children a day. Her diary entries at the time make for heart-breaking reading. “I thought I should never be able to smile again,” she writes, after turning away a boy who was later found dead of hunger. “My heart was shattered,” she writes, when a tiny, naked girl was brought to her door with lacerated feet by policemen who otherwise operated as agents of persecution. Maria soon returned to the Middle East after learning that Near East Relief was extracting 110,000 children from Turkey in the face of further persecution. She went to Lebanon and soon founded what would become the Bird’s Nest Orphanage for more than 200 children. She came up with the nickname because the children imploring her for treats reminded her of newly hatched, hungry chicks. 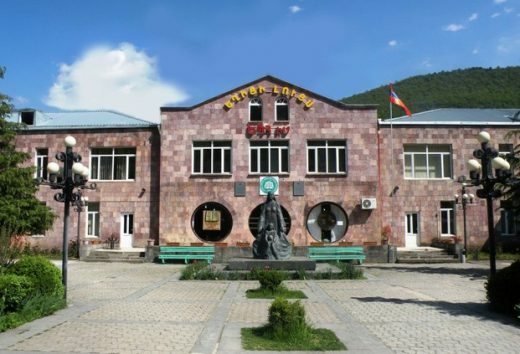 Visitors said the Bird’s Nest was more like a school than an orphanage, scrupulously clean and disciplined, the children taking lessons and the girls learning to produce exquisite needlework. 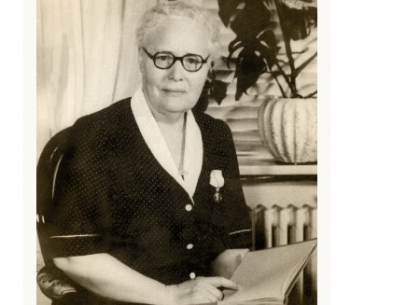 Amazingly, Jacobsen kept the home operational during World War II, and in 1950 became the first woman to receive Denmark’s Gold medal award for her humanitarian work. She visited her homeland for the last time in 1957 and died at the Bird’s Nest in April 1960. She was buried, according to her wishes, in the yard of the orphanage.